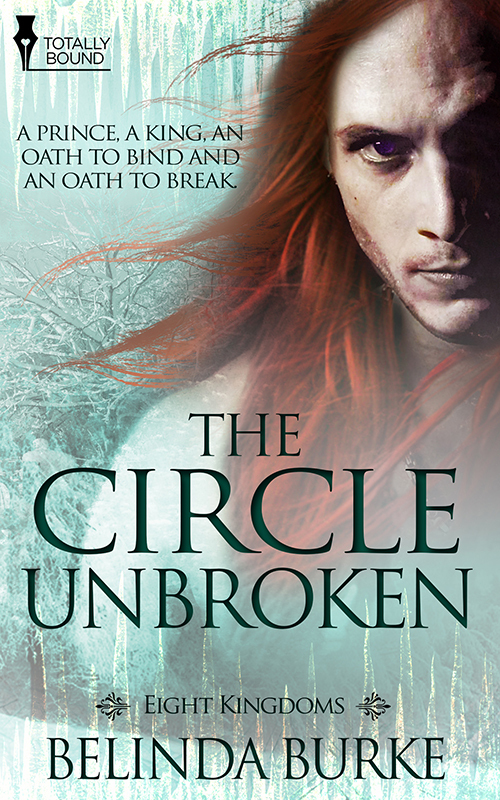 The Circle Unbroken: Book two of the Eight Kingdoms series, continuing Macsen and Bran’s story and venturing ever further into the wider world of the Eight Kingdoms. Love, doubt, mayhem and violence all spiral out of control in The Circle Unbroken. A prince, a king, an oath to bind and an oath to break. Can something begun in darkness survive the light? Or does the shape of that oath define love…and the circle unbroken? From the back cover: Three months have passed since Macsen Cadoc’s rescue of Bran Fionnan—three mortal months, three days in Macsen’s Red Kingdom. Bran has begun to seek a place for himself—as sidhe, as Summer’s Prince and as Macsen’s consort. The Red King has begun to balance the thirst of his own nature with the love that now moves him just as much. Yet when Bran is reminded of an oath that was made between them when he was just a child, that which has so far held them together may end up tearing them apart. You can purchase The Circle Unbroken at Pride Publishing, Amazon, Barnes and Noble and other retailers, in e-book and paperback!